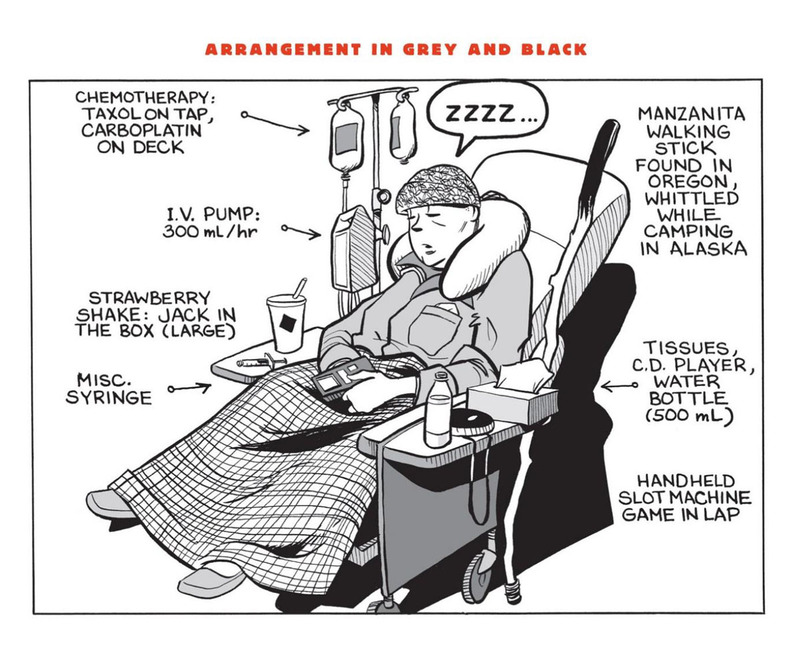 Though he titled his book Mom’s Cancer, Brian Fies (b.1960) focuses not on his mother in the graphic novel, but on the sadness and torment of three siblings as they come to terms with her imminent death. Though they share the same journey, each confronts the ordeal in their own way. Their lives are greatly affected by their mother’s suffering as their familial relationship is forever changed. The brutally honest portrayal is one that rings true with millions of family members affected by the loss of a parent. Fies, Brian. Mom's Cancer. 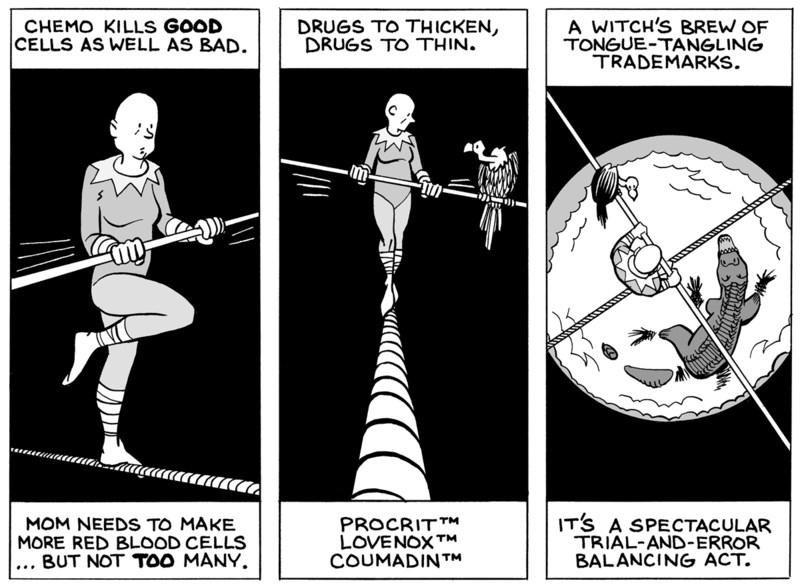 New York: Abrams ComicArts, 2006. Fies, Brian. 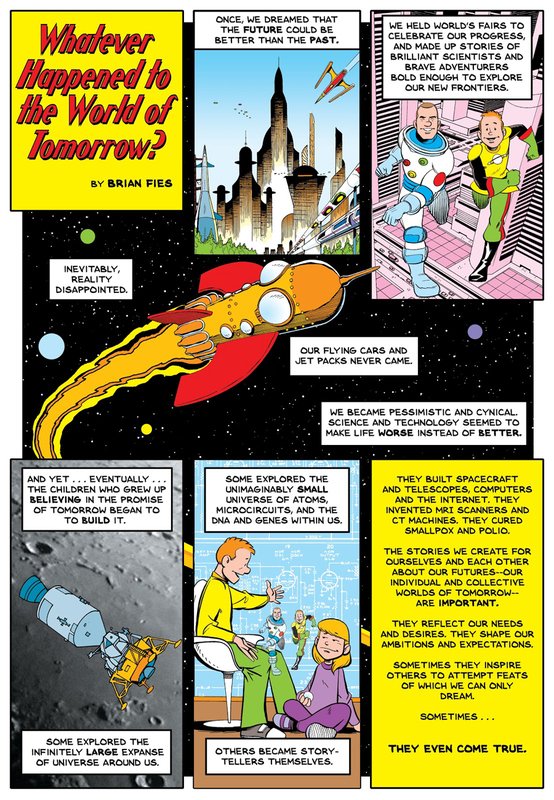 Whatever Happened to the World of Tomorrow? New York: Abrams ComicArts, 2009.